Some of you might heard of Im Chang Jung’s latest song and MV, Open the Door, that you laughed because it’s funny but it’s also interesting to see what the good samaritarians in South Korea should do. But, did you know that Im Chang Jung is known as the 90s ballad singer who belts out classics that, will soon, melt your heart away. He has been in the music scene for the past 20 years. Before he retired to focus on his acting career in 2003, he is known to sing heart-wrenching ballad songs that moved the audiences into tears. Since his beginning of career till now, he has been singing 100 songs which half of them are written by Im Chang Jung, himself. Most of his songs were part of the OSTs in films, which he acted since 1990, such as the songs like A Glass of Soju and Sad Monologue. Later, in 2009, he returned to the music scene with his album, Long Time No See which is also the title song. The song starts off with the piano follow by his build up with his singing vocals within the octave. Also, it consists of the emotive tone and lyrics that might make you shed your tears especially if someone were to play the piano and sing over the phone. By adding a few guitar and violin tunes into it, it is a perfect classic love ballad that will moved your heart. Few months ago, he came out with his latest single, A Guy Like Me, which also played with piano. As you listen to the song, there might be a time that you would teared because of his strong flow of singing vocals. The tone of the songs start off with a mild low then it start to build up in a strong high emotional tone including the chorus. Another song for you to listen to that make your heart shake and bring you into tears. Then, he collaborated with Shinsadong Tiger in creating Im Chang Jung’s trot version of Open The Door which is originally sang by the Wonder Boyz. 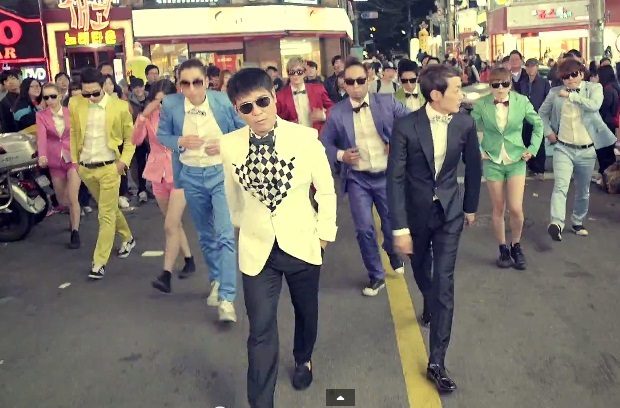 This MV features great well-known cameos of actors, comedians, and singers to join in making the video more entertaining. Can you spot who are they in the MV? Also, the song has a mix of trot (Im Chang Jung’s singing vocals and lyrics) and electro beats that made you wanting more. In addition to that, we could not get tired of the simple chorus choreography moves that made others do either dance covers or just, randomly, dance to these moves. So, he has returned as the multi-entertainer who not only does singing but also acting. Although Open the Door aims to be a trendy song among the listeners including the youngsters, he still stick to his speciality in singing ballads that is music to our ears and heart.